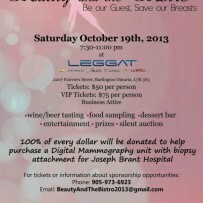 “Beauty and the Bistro” is an annual Fundraising event hosted by Leggat Cadillac. This Bistro event features local restaurants serving up tasteful, signature samplings of their menu, spectacular wineries that the region has to offer and local breweries. 100% of every dollar will go to the Joseph Brant Hospital Foundation to help purchase diagnostic equipment used for breast cancer diagnosis. 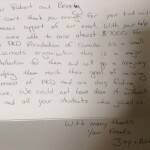 In 2012, over $ 75,000 was raised. 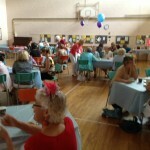 Paul Storey from Pat’s Party Rentals had introduced us to this event, as they are Decor Sponsors. 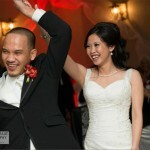 The company is also a decor sponsor at danceScape’s Footloose & Fancy Feast VI. 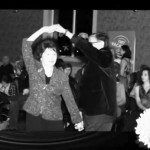 danceScape is pleased to support the event’s Silent Auction by donating two “10-week absolute beginners Ballroom Dancing group workshops” as well as our “for absolute beginners only” 2-DVD set. The total retail value is approximately $400. Thanks again to Paul, as well as Angelo and the Team from Leggat Cadillac for organizing this great event.